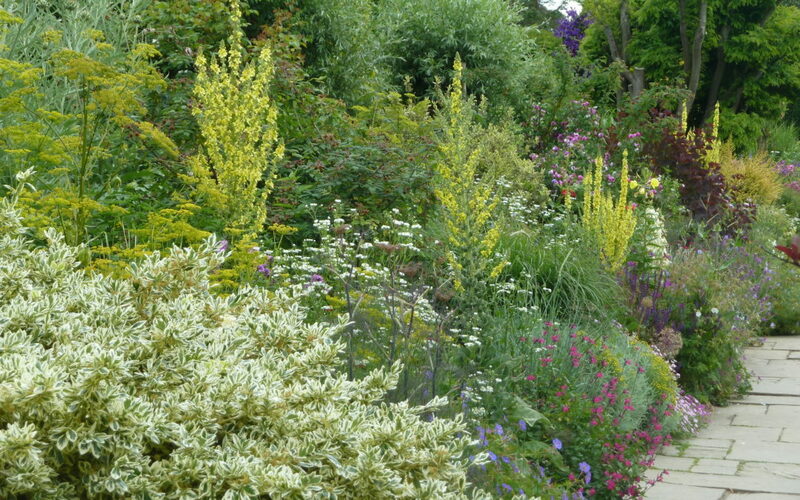 At this time of year the garden should be looking at its best, with plenty of colour and interest. Warm sunny evenings allow plenty of time in which to enjoy the garden. Although there are plenty of jobs to do this month, these can be undertaken at a more leisurely pace. Make sure birds have water in dry spells. Wisteria is best pruned twice a year to control its size and promote flowering. Summer prune by shortening long, whippy, current-season growth to five to six leaves or roughly the length of your forearm. Deadhead roses, peonies, pansies etc. To encourage more blooms on repeat-flowering roses, prune off faded heads regularly. With roses that flower only once, leave them unpruned if you want colourful rosehips later. Cut back early flowering herbaceous plants when they’ve finished flowering. Prune shrubs that flowered in early summer. Take half-ripe cuttings of shrubs such as cistus, lavatera, viburnum. Trim conifer hedges and take cuttings. Disbud dahlias to get larger blooms. Clematis, especially those grown in containers or against sunny walls, need regular watering during summer to limit stress and help prevent powdery mildew infection. Keep new and young plants well watered during the summer, but use water wisely. With topiary plants of bay (Laurus nobilis) trimming will encourage dense growth and maintains shape. Use secateurs to shorten shoots. Watch out for pests and diseases. Feed and water all plants in containers regularly. Plant autumn-flowering bulbs such as Colchicum and Sternbergia. Transplant seedlings of biennials sown earlier. Continue pinching out growing tips of runner beans when they reach the tops of their canes. Lift new potatoes, onions and garlic. Pick soft fruit, including blackberries, gooseberries and summer-fruiting raspberries as they ripen. It is not too late to sow fast-growing catch crops such as oriental greens and salad onions, using empty space and providing an additional harvest. Keep greenhouses well ventilated, and damp down regularly. 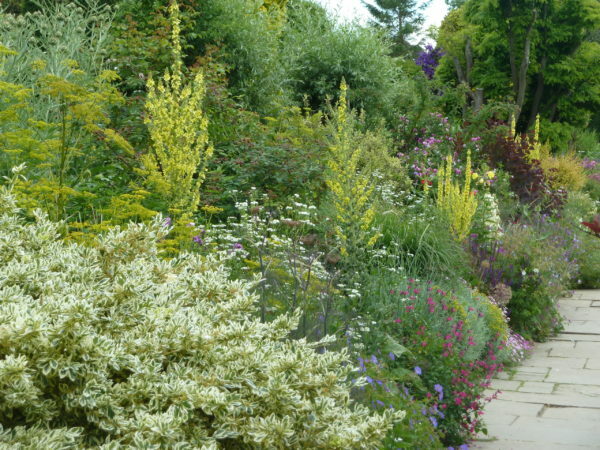 Last chance to fill any gaps in beds and borders with bedding. There are also some lovely gardens to visit at this time of year.